What Bangs are Right for Me? Bangs or no bangs, fringe or no fringe . . . no matter what side of the pond you reside on, you’ve asked the question more than once, “What bangs or fringe are right for me?” haven’t you? The big bang controversy has always been a hair dilemma for women . . . to make that initial cut is HUGE, and with all those fabulous ways we have to wear and style bangs, well it’s a question where women can easily come to an impasse. This bang dilemma thing, is the reason you’ll find so many articles here on the subject . . . so check it all out before making the cut, or just too see all those cute possibilities . . . you’ll be glad you did! The Golden Globes have always been a fabulous place for inspiration when it comes to hairstyles and this year, bangs were a big hit. We couldn’t help notice how many celebrities wore bangs to this formal event. Are any of these bangs right for you? Now find out what type of bangs will work best with your hair type get advice on how to style your bangs and the know-how on how often these bangs will need to be trimmed to keep you looking your best. Most of you can wear maybe one or two bang styles, but if you choose bangs that are not recommended for your hair type, expect some headaches and to spend more time maintaining them. Thin wispy bangs like Olivia’s, work best on women with thin, straight hair sans the cowlicks. A cowlick with thin hair is hard to style straight and keep it that way. However, people with curly or thick hair can achieve this look with just a little effort. These bangs can be straightened with a flat-iron or with a blow dryer and vent brush. You can expect this type of ban to require regular trims every one to two weeks. Heavy bangs are youthful and flattering, so for those of you wondering if bangs make you look younger, the answer is yes, most of the time. Women with thick and straight to wavy hair are the best candidates for these types of bangs. Do you want to style your bangs like Nicole Richie? There are two ways to do it. You can blow dry your bangs with a large round brush or you can smooth them out with a large barrel curling iron. Because these bangs are cut just below the eyebrow, trims are recommended every one to two weeks. 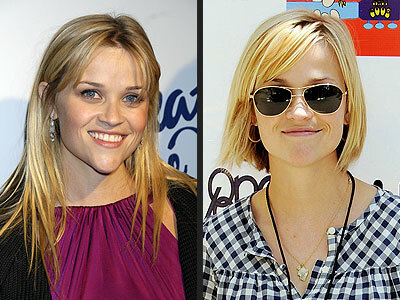 Short, wispy bangs are playful, youthful and trendy. These bangs look best when paired with a short haircut like the pixie cut. You can create Michelle’s short,wispy bang look by defining pieces of your bangs using pomade or a similar texturizing hair product. These bangs look best when kept short, so they should be trimmed every two to four weeks. Thin side bangs look soft and romantic. Women with thin, straight hair will have the easiest time styling this type of bang. But bangs can be thinned out to get the look also. Side bangs are also the optimal type of bang for those with a cowlick in the front of their hair. Because these bangs are thin, they look best when they are straight. You can straighten your bangs using a flat-iron or a blow dryer with a paddle brush. Thin side bangs can last four to six weeks between trims. 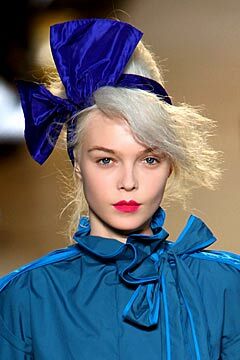 Thick side-swept bangs are best for women with lots of hair with little to no waves. Those of you who have a cowlick where you like to part your bangs, will have an even easier time with this bang . You can style your side bang like Amber’s in two easy steps. First, smooth your bangs with a flat-iron. Next, use a medium-sized curling iron to curl the ends of your bang off to the side.One advantage of side bangs are their length. Because they are long, you can easily go four to six weeks before you need a trim.